For pricing and more information on this title, call us at 1-877-394-8826. Discounts may be available to customers that subscribe to both online research and print products. 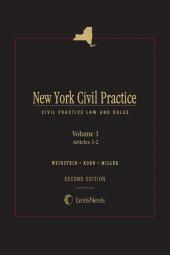 New York Civil Practice: CPLR is recognized by the courts and the market as the leading treatise on NY civil procedure and litigation. 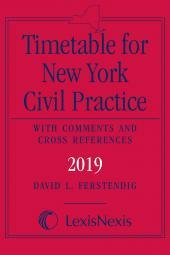 by HAROLD L. KORN (deceased) (Author) , (Author) , David L. Ferstendig, Esq. 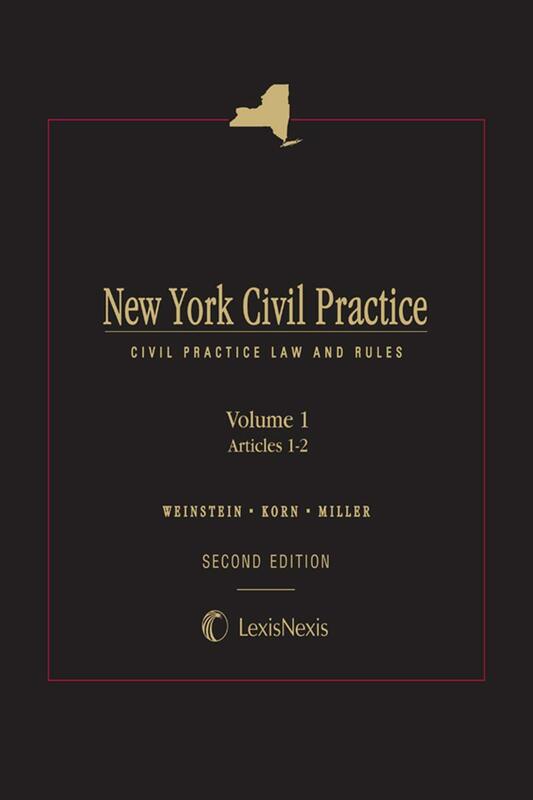 New York Civil Practice: CPLR, 2nd Edition, more commonly known as Weinstein, Korn & Miller, is recognized by the courts and the market as the leading treatise on NY civil procedure and litigation. 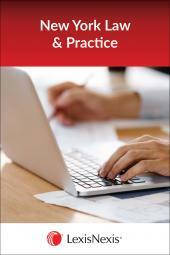 Weinstein, Korn & Miller makes the in-depth analysis of eminent experts accessible to civil practitioners. It provides comprehensive answers to all procedural questions, including not only a coherent statement of the current law but also an analysis of how the law is interpreted and applied and how it has evolved. Clear organization, mirroring that of the CPLR, and cross-references to applicable forms in Bender's Forms for the Civil Practice (Vols. 1-16), make it easy to find the topic of interest and complete the task at hand. DAVID L. FERSTENDIG Currently a member of the Law Offices of David L. Ferstendig, LLC, New York, Mr. Ferstendig was a founding officer of the law firm Breindel & Ferstendig, P.C. He litigates a spectrum of civil and corporate matters, including contract, product liability, environmental, toxic torts, professional indemnity, reinsurance and insurance issues, and trade secrets. Mr. Ferstendig is also an adjunct law professor at New York Law School, where he teaches New York Practice. 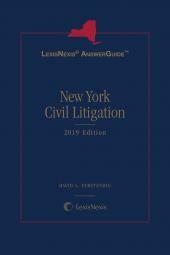 In addition to being the author of the LexisNexis AnswerGuide New York Civil Litigation, he is the General Editor of Weinstein, Korn & Miller, New York Civil Practice: CPLR and of the CPLR Manual, the General Editor and an author of CPLR Practice Insights in New York Consolidated Laws Service, an author of various Expert Commentaries on New York Civil Practice, and an update author of Timetable for New York Civil Practice from LexisNexis. He is also the immediate past Chair of the Civil Practice Law and Rules Committee of the New York State Bar Association. A graduate of New York University School of Law, Mr. Ferstendig has lectured on civil practice issues for bar associations, the New York State Judicial Institute, and LexisNexis. HON. JACK B. WEINSTEIN, Senior U.S. District Judge, Eastern District of New York; Formerly Professor of Law, Columbia University Law School; Formerly County Attorney, Nassau County; Reporter to the Advisory Committee on Practice and Procedure, Temporary Commission on the Courts and New York State Legislature. HAROLD L. KORN (deceased), Formerly Harold R. Medina Chair in Procedural Jurisprudence at Columbia University Law School; Formerly Director of Research for the New York State Advisory Committee on Practice and Procedure. PROF. ARTHUR R. MILLER, Bruce Bromley Professor of Law, Harvard Law School; Formerly Reporter for and Member of Advisory Committee on Civil Rules of the Judicial Conference of the United States; Formerly Reporter for American Law Institute’s Project on Complex Litigation.